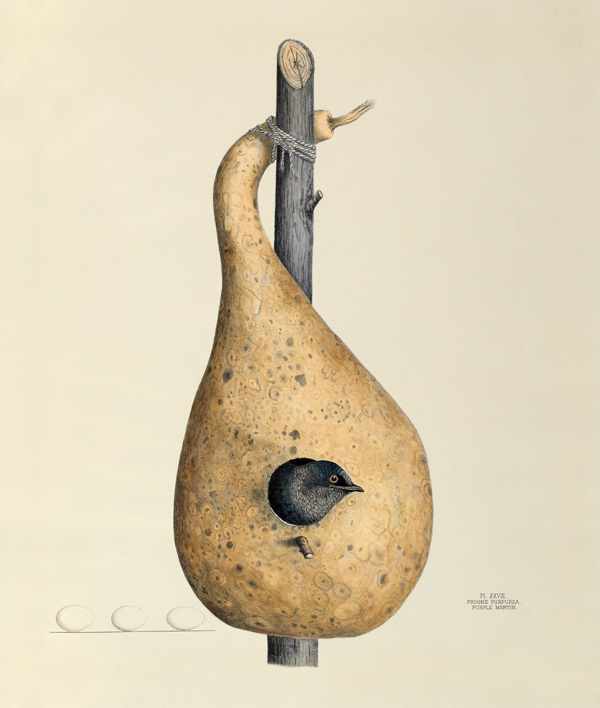 The Brain Pickings review of America’s Other Audubon by Joy M. Kiser (Princeton Architectural Press, 2012) includes some nice illustrations from the book. The works are by a family of illustrators and lithographer, all amateurs by today's standards, Gennie, Virginia, and Eliza Jones. 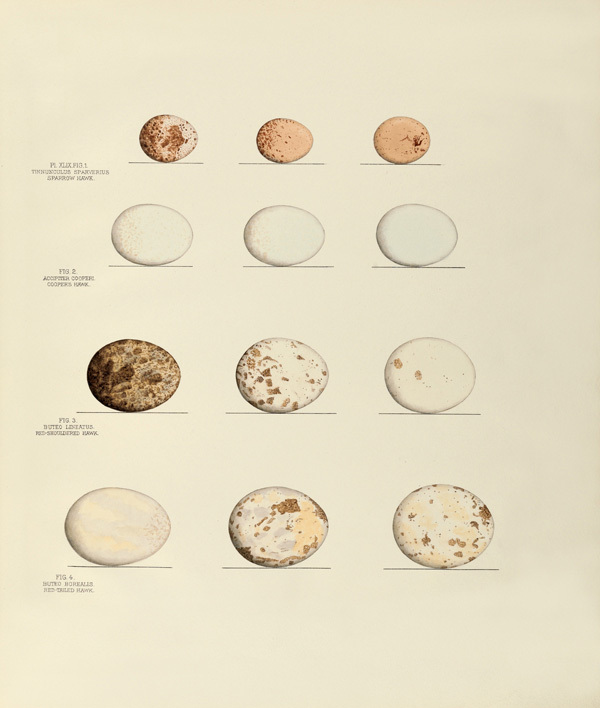 The creation of a talented young woman and her dedicated family in a small Ohio town far from the intellectual and artistic centers of mid-nineteenth century, Illustrations of the Nests and Eggs of Birds of Ohio was a singular and remarkable achievement. It is almost impossible for us today to imagine how ambitious the project was in its own time or how daunting the physical and technological obstacles that had to be dealt with and overcome. Even more, in our modern world of the professionalization of science, it may seem astonishing that amateurs like the Joneses could produce something scientifically important and lasting.